This kind of a filter is usually required in peculiar cases when the water source is open well, ponds, rivers or canals. In such cases, water needs filtration also against green algae, and “OM” gravel and sand filter prove to be the best in this regard. 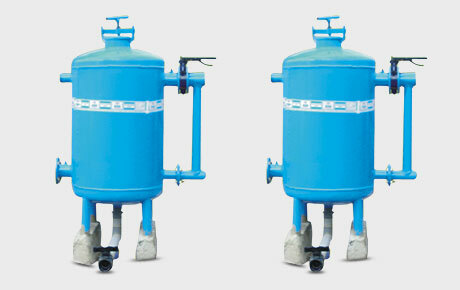 These filters are available in various flow rates like 10m3, 20m3, 30m3, 40m3, and 50m3. Filtering with media filters is also recognized as depth filtration. 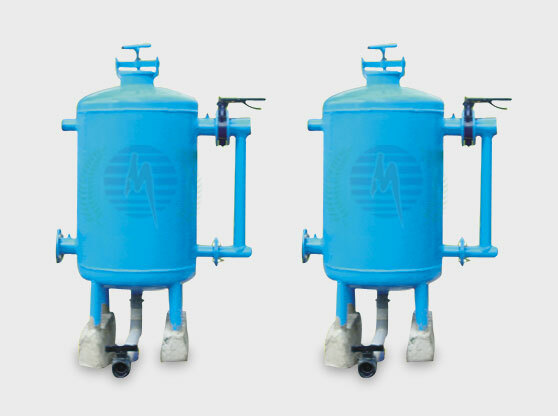 The media filters perform the filtration of water through a thick layer of graded particles. These particles can be sand, gravel or other granular materials. The filtration rate depends on the effective size of the bedding and the water velocity through the filter. System offers a complete line of manifolds, accessories and control systems For single or multiple media filters. The Customer Support Department is at your service in designing complete media filtration systems with gravel, sand, active carbon or multi-layer beddings: For manual or automatic operation, For single or multi-units, manifolded For complete filtration solutions. Water enters through the filter inlet and percolates through the filter bed. When suspended matter comes in contact with media particles, it absorbs it. Clean water Then goes via the filtration nozzles through the filter outlet. Cleaning is done by backwashing. Water is inserted in reverse direction - from the nozzles upwards, causing suspension of the filter bed, thus releasing the suspended matter from the bedding and it is flushed out through a backwash valve. Backwashing may be done automatically according To pressure differential and/or according To time.